Inside the 2018 Volkswagen Atlas is a cabin that provides 153.7 cubic feet of passenger volume. Standard cargo space, which is measured between the third row and the liftgate, is set at 20.6 cubic feet. However, you can expand it to 55.5 cubic feet when the third row is folded. And there’s a maximum cargo volume of 96.8 cubic feet when both second and third rows are folded. The 2018 Acura MDX is nowhere as spacious. Passenger volume is measured at 132.7 cubic feet (21 less cubic feet). Standard cargo space is 14.9 cubic feet (5.7 less cubic feet), with the option of folding down the second row for an expansion to 38.4 cubic feet (17.1 less cubic feet) and folding down both rows behind front seating for 90.9 cubic feet (5.9 less cubic feet). Split into four trims, each of which is identified by an equipment package, the 2018 Acura MDX has a three-row format that typically seats the driver and a passenger in the front, a second-row bench-style seat that seats three people, and a third row that seats two people for a total maximum capacity of seven. The Advance Package, however, is the exception; it swaps the bench-style seat in the second row for a pair of captain’s seats, thus reducing maximum occupancy to six. By comparison, there’s always the ability to seat up to seven people on the 2018 Volkswagen Atlas, regardless of what trim you choose. Although the 2018 Volkswagen Atlas is larger than the 2018 Acura MDX, it surely doesn’t drive like it. The Atlas is notable for having minimal body lean around turns, thus making it feel like a smaller vehicle. And thanks to its independent front and multi-link rear suspension system, the all-new Atlas absorbs bumps and dips with great ease, thus enforcing a relatively smooth ride. Ironically, for a vehicle that is more geared towards sedan-like driving dynamics, the 2018 Acura MDX is not as praised as its Volkswagen Atlas for its level of ride quality. Stop by our dealership in Streetsboro, Ohio today to test-drive the 2018 Volkswagen Atlas and see how it compares with the 2018 Acura MDX. 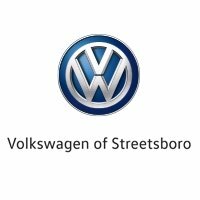 As a major dealer in the Cleveland-Akron metro area, we are known for providing top-quality customer service with our robust inventory and team of Volkswagen specialists. Call us today to set up an appointment. * NHTSA Government 5-Star Safety Ratings are part of the U.S. Department of Transportations New Car Assessment Program (www.safercar.gov). Model tested with standard side airbags (SAB).